Diamond Chain applies our rigorous standards for excellence and durability to products designed for food production applications to reduce costs and downtime. 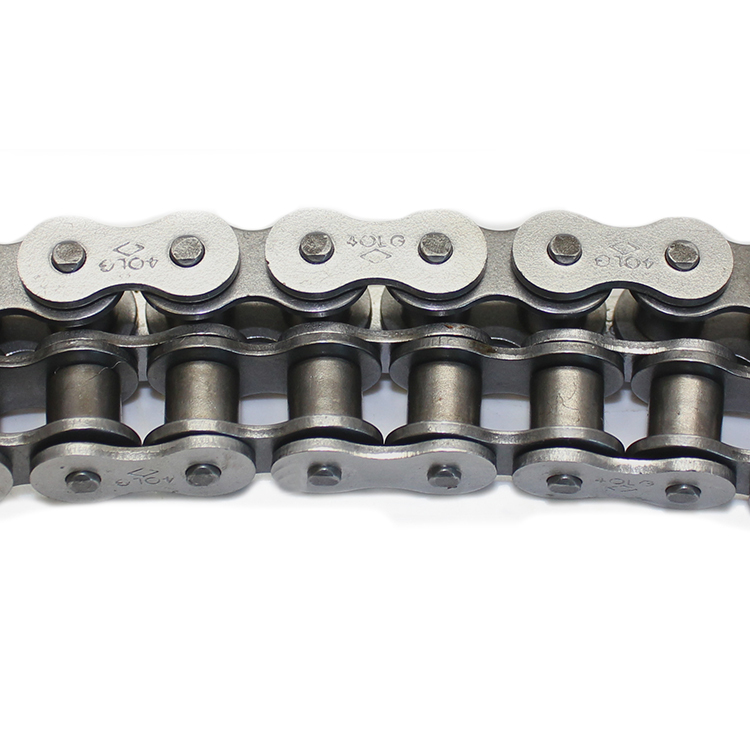 We offer attachment roller chain with a wide variety of standard and custom attachments to meet your production and packaging needs. We also design made-to-order chain and attachments for unique requirements. All of our attachment roller chain and made-to-order chain is processed by hand to ensure precise length matching. Unlike pre-stretched chain, Diamond Chain’s hand processing gives our products a higher degree of precision, which reduces waste and abrasion on machinery and packaging. 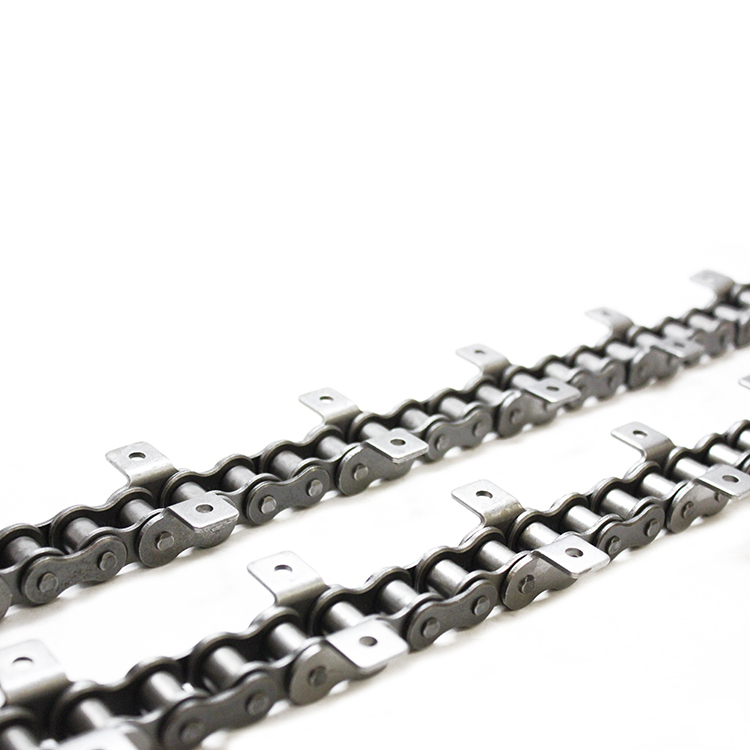 Diamond Chain food production roller chain uses FDA-approved materials and food-grade lubricants to protect the chain’s structure and strength while ensuring food safety. We choose materials and lubricants to meet specific needs for sanitization, processing, cooking and sterilization. Our experienced professionals will work with your team to determine which standard or made-to-order chain works best in your application. 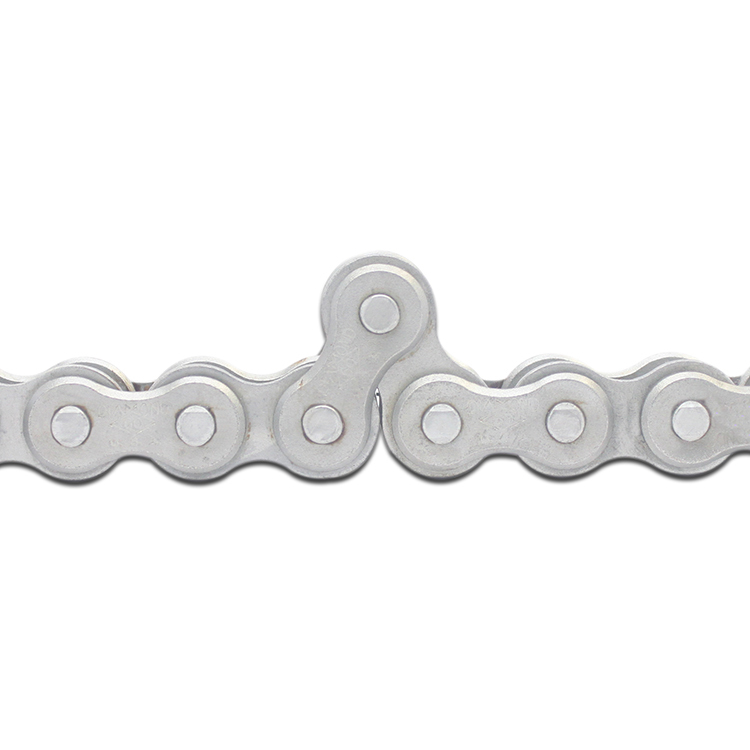 For food processing environments that require corrosion resistance, chain from Diamond’s ACE brand is coated in nickel and non-hexavalent chromium to maintain food safety requirements while also ensuring the chain’s strength and integrity. Diamond Chain’s commitment to quality, safety and durability make our products a natural choice for food production applications. Contact our team of experienced professionals to learn more about how Diamond Chain products can benefit your company.